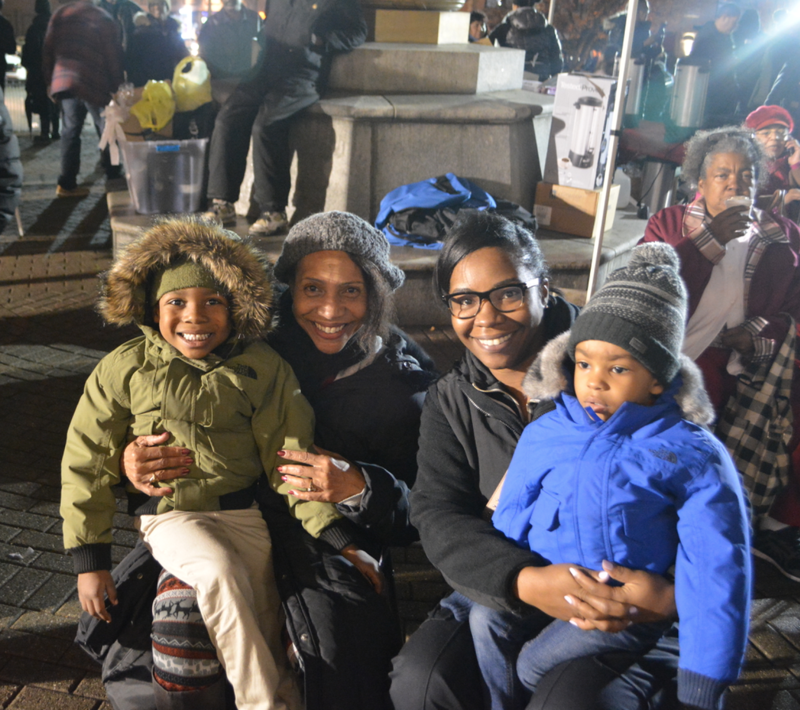 Tuesday night, December 5, was highly anticipated by many Mount Vernon parents and their kids since the city was scheduled to come to life with the lighting of a 20-foot Christmas tree and a magnificent holiday celebration on City Hall Plaza. For several years, Fred Schwam, CEO of American Christmas, has donated a 20-foot holiday tree to Mount Vernon and the tree has been installed on the grounds of City Hall Plaza. Schwam’s company also donates the trees seen inside of the Police and Fire Department buildings. Garden, Radio City Music Hall, and Saks Fifth Avenue. 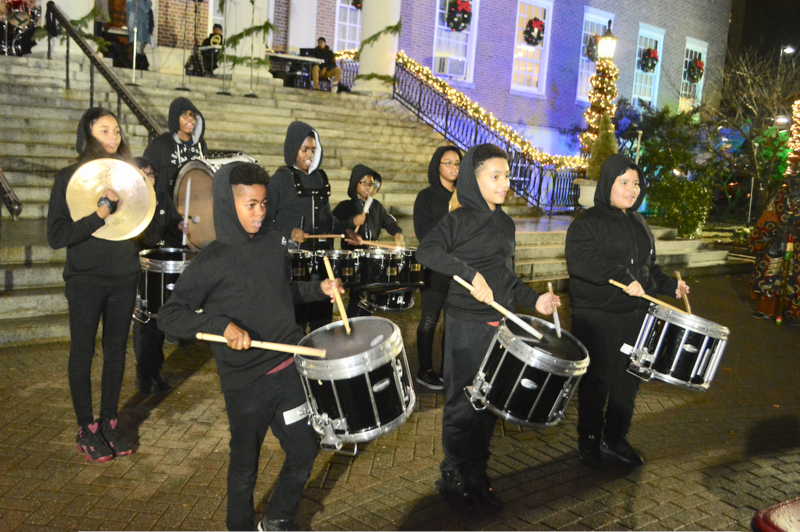 The company donates the tree and its decorating services so that residents can appreciate the joy of the season each time they pass City Hall. 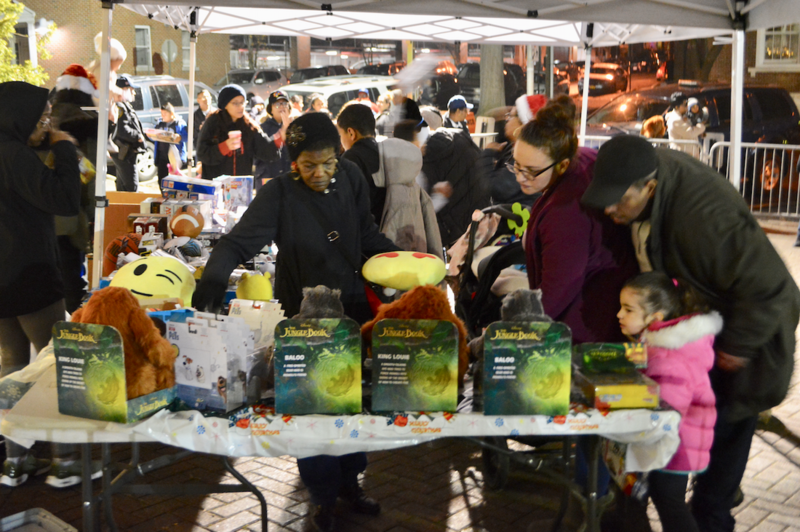 This year’s holiday event attracted a record crowd thanks to mild weather. 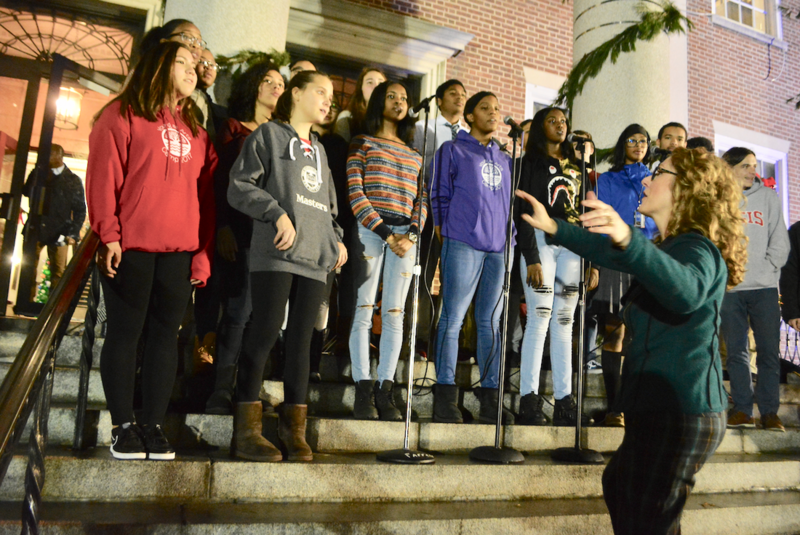 Although it started raining, the rain arrived near the end of the festivities – just as the countdown for the tree lighting was about to commence. Although the event was scheduled to commence at 4:30 PM, many kids and their parents arrived much earlier and waited on line for the toy giveaway to begin. And as expected, the kids jumped with joy when Santa arrived. 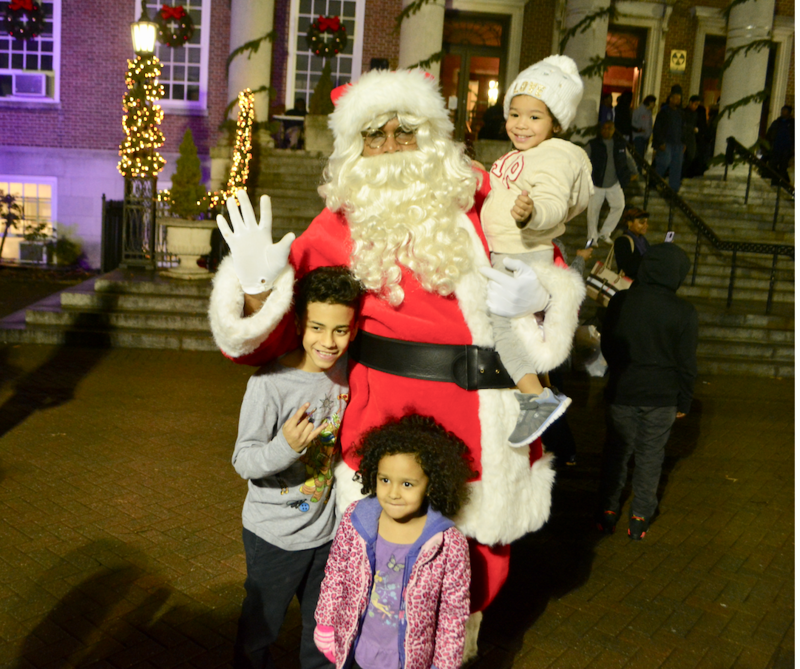 Santa then provided the hundreds of kids with toys – with the help of volunteers from the city’s Youth Bureau who acted as elves. 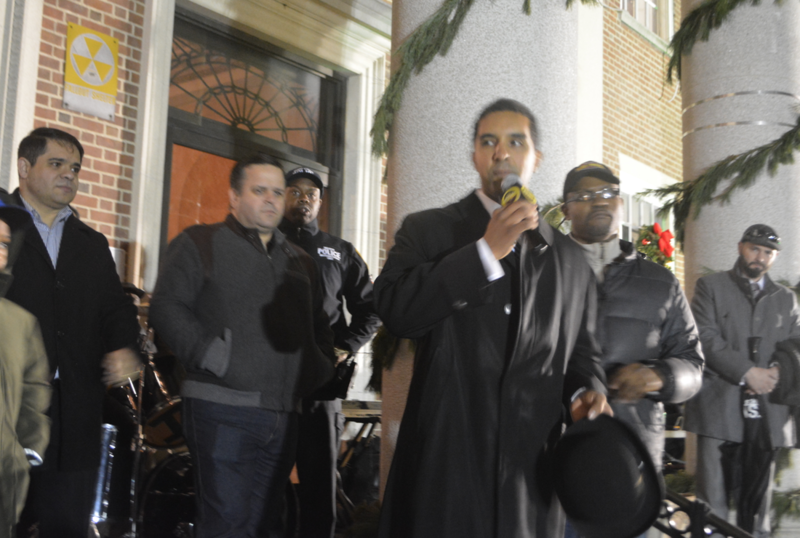 This year’s event was truly festive and acting as the Master of Ceremonies was the mayor’s brother, Butch Thomas. 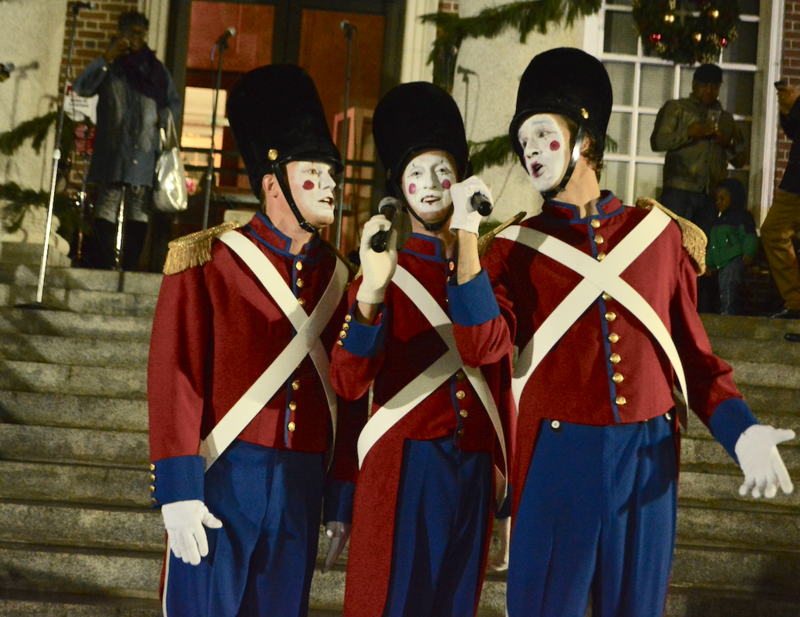 Entertainment was plentiful and included a live DJ, along with MTV Performing and Visual Arts Magnet Band, Mount Vernon Department of Recreation Ice Drumline, Bronxville’s Young at Arts Choral Ensemble, a solo by Ameera Shaban, Allen Memorial Church of God in Christ Choir, Mount Vernon Interfaith Choir and the Nut Crackers, a singing trio. 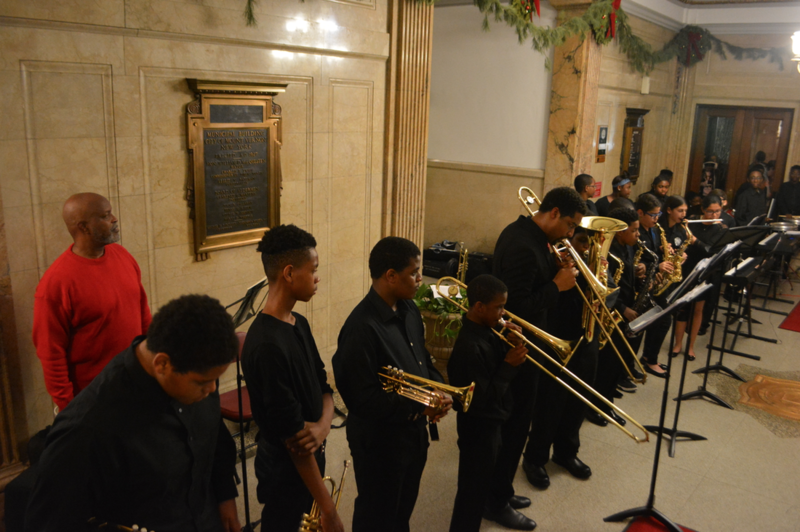 It was a festive occasion, and those who attended the festivities did so in the spirit of a community celebration in an effort to enjoy the spirit of the holiday season.